The lunar rock was about the size of a bowling ball and weighed almost eight kilos, one of the larger samples collected during the Apollo missions, but it had never been examined until now. Within weeks of it returning to Earth with the Apollo 17 crew on 19 December 1972, it had vanished from its storage area at the Lunar Sample Laboratory Facility in Huston, Texas. Federal investigators were notified when, after the death of wealthy art and antiquities collector Lawrence Rodriquez, it was discovered in a private vault located under his Boca Raton mansion. It was believed to have passed from one private party to another between the mid-1970s and 2001 when Rodriquez acquired it and locked it away with other illegally obtained artifacts. That was in 2011. Now, four years later, Leo Warner requisitioned it for study by his team. Unfortunately in the nearly forty years since it had gone missing, it had been carelessly handled and allowed exposure to air, contaminating the surface of the specimen. However, it was still possible that the interior was preserved and to that end, a small core sample was about to be taken. “What do you think we’ll find, Leo?” Rosalie Aguilar was the youngest member of the group, a graduate student from the University of Huston, and perfectly at home with the Chief Geologist’s policy of informality, including everyone being on a first name basis. “The drill is all set up Leo. We can proceed anytime you’re ready.” Rick Ingram was the team lead and had been with Warner’s current group the longest, although he was only twenty-seven. “Thanks, Rick. Okay, everyone take your positions and look sharp.” Leo felt more like a teacher or perhaps a Grandfather rather than a boss given the age difference between himself and the other four people in the room. He had been a 20-year-old intern at the Space Center when Apollo 17, the final NASA manned mission to the Moon, splashed down in the Pacific. That’s when he was hooked by the idea of examining geological objects taken directly from the Moon rather than those that came to Earth as meteors. These rocks didn’t suffer the damage of a fiery entry through a hundred miles of atmosphere and most of them having been handled with extraordinary care, still had their secrets to give even after four decades. The object itself was in a containment unit which allowed it to be observed behind special Plexiglas shielding. A wide variety of visual, auditory, and other detection equipment would monitor the results of the drill test including particles and gases that resulted from the penetration. “Spinning up the drill now, Leo.” Rick’s hand were on the controls manipulating the extremely thin and strong drill bit as it inched closer to the specimen. “Visual, infrared, and ultraviolet scanners active, Leo.” Jordan Mitchell was the team’s oldest member at thirty-two but he always sounded like a teenager during an exam. He’d once explained that it was the tension, the only sign he exhibited of the anxiety he felt when working with a five million dollar lunar rock. “Sonic and vibration detectors are on.” Maria Kim’s headphones were enormous, a necessity of the amount of insulation required to block out external noise. Of course everything was being recorded, but she wanted to be able to hear first hand even the subtlest sounds that might yield important clues as to the composition of the object. Leo was surprised to find that he was holding his breath as Rick guided the drill bit onto and then inside the sample. “One centimeter, two, two point five…” Rick kept reporting the depth. Maria suddenly threw off her headphones and pressed her hands tightly over her ears. Then the other four heard the shrill squealing from the discarded headset speakers that were now on the floor. “What the hell was that?” She was screaming as if trying to make herself heard over the roar of a hurricane. Rick complied and as quickly as he dared, reversed the drill bit controls until it was clear of the specimen. “No change in particulates, Leo.” Rosalie almost left her post but she might be able to see something that could explain what caused that noise. Leo recognized the voice of Rudy Gibbs, the Lab’s Director. Six weeks later Leo presented his report to President Barack Obama. 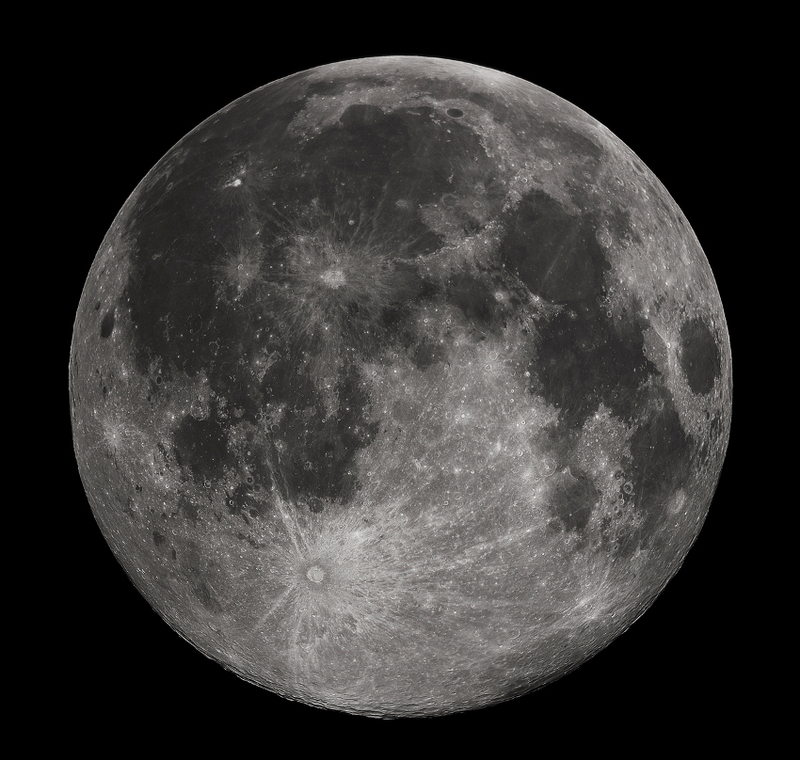 On Thursday, 9 April 2015 at approximately 13:04 hours Central Time, Lunar Rock sample 85773 began emitting a strong auditory and radio signal that interfered with radio and television broadcasts in a fifty mile radius however, that signal was directed not at a receiver on Earth but into space, specifically at the Moon. Less than five minutes later, the Arecibo radio telescope observatory in Puerto Rico received a signal on the same band from the Moon which continued for a duration of 109 seconds and then ceased. While the signal from the lunar rock seemed to be a simple beacon and contained no discernible message, the Lunar transmission was another story entirely. At the time of Dr. Warner’s report, the finest mathematicians in the United States had yet to derive a meaning beyond the fact that the transmission and the information contained could not have been naturally occurring. The lunar transmission originated from the Taurus-Littrow valley, the landing site of Apollo 17. “But, Mr. President…” Robert Lightfoot was Acting Administrator of NASA and he was unsuccessfully arguing with the man who appointed him to the position. The world was stunned when Donald Trump defeated his Democratic opponent Hillary Clinton and became the forty-fifth President of the United States. A tremendous amount of money and a great deal of political subterfuge and legerdemain had been involved to ensure that Ms. Clinton would become the first female President. However there were other forces at work and a far higher purpose involved, one that Hillary Clinton would have stopped before it got started. Within the first thirty days, President Trump had completely realigned NASAs mission priorities and a largely Republican Congress had boosted the space agency’s budget back up to where it was in the 1960s adjusted for inflation. In just under two seconds after the television transmission left Earth’s atmosphere radiating into space, something underneath the surface of Taurus-Littrow did the equivalent of smiling. As it turns out, we’ve lost a lot of moon rocks over the years, over 500 items. Actually, the Nixon administration gave a bunch away to other states and nations and many of those vanished. There’s been an effort to retrieve as many as we can and return them to secure holding facilities in Houston and White Sands. The general information about Apollo 17 including its landing site is accurate, but the rock in question including its history of being passed around to various collectors is totally fictional. Except for the public figures I’ve mentioned, so is everyone in my story. I hope I managed to capture the “voices” of President Obama and President Trump, but to be fair, I’ve listened or watched almost none of their speeches. It is true that Obama and Trump have greatly differing perspectives about the direction our space program should take, though given an alien radio signal from the Moon, I have no idea how Barack Obama would really react. I had a vague idea about Moon rocks, aliens, conspiracies, and manned space flight and I wanted to get something down. This story needs a lot of work and would probably have to be dramatically lengthened to do the concept justice. For instance, all of those testing procedures for lunar rocks is totally made up and I have no idea what NASA scientists do when they want to examine one. I just need someone to drill my rock so it exposed the interior to some kind of stimulus, causing it to emit its signal to the Moon. Oh, instead of the Russians or the FBI influencing the last Presidential election, I have suggested that it was either the scientific community which needed a more “pro-manned space travel” President in office or perhaps the aliens themselves. I’m sure those explanations would be much more satisfactory to Mr. Trump’s critics than whatever is the reality of the situation. Yes, I suggested there was manipulation of the election from the Democratic side as well. I mean, they’re politicians so it wouldn’t surprise me.